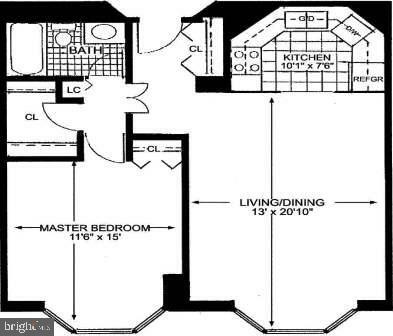 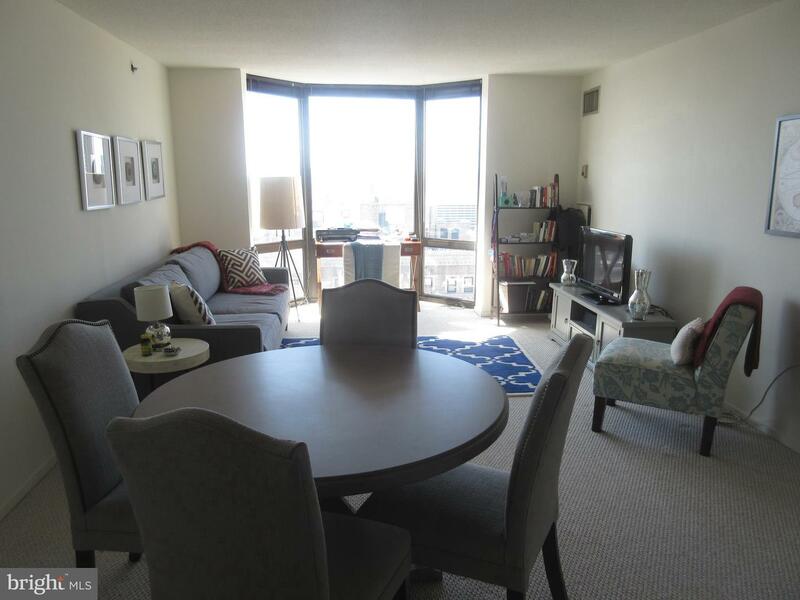 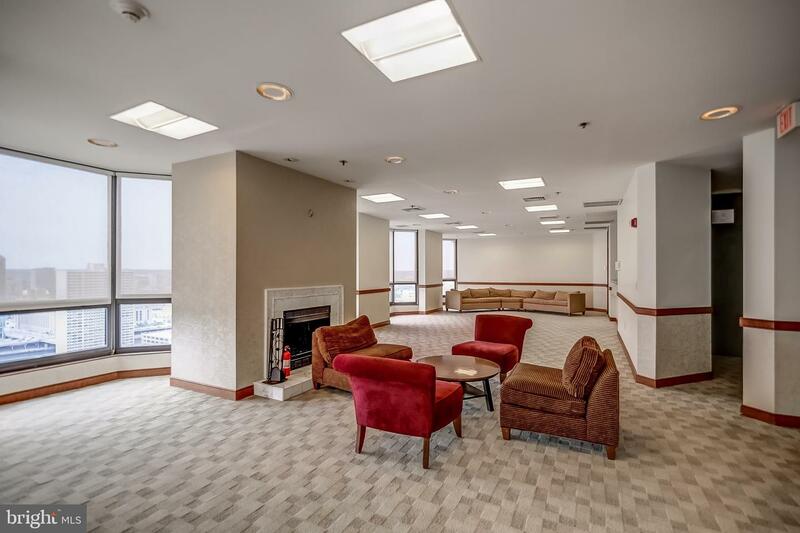 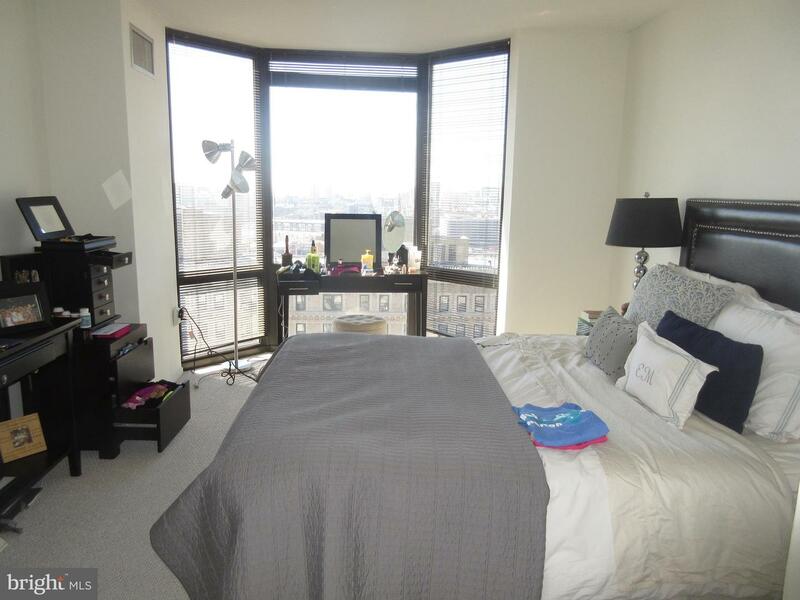 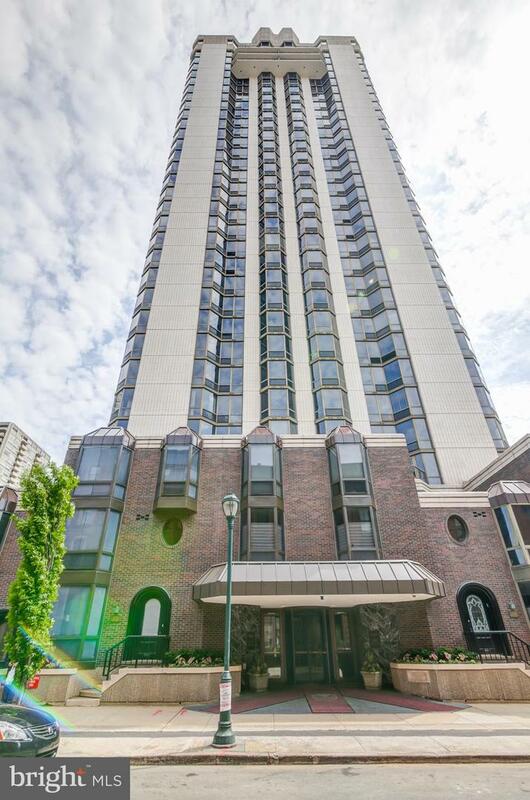 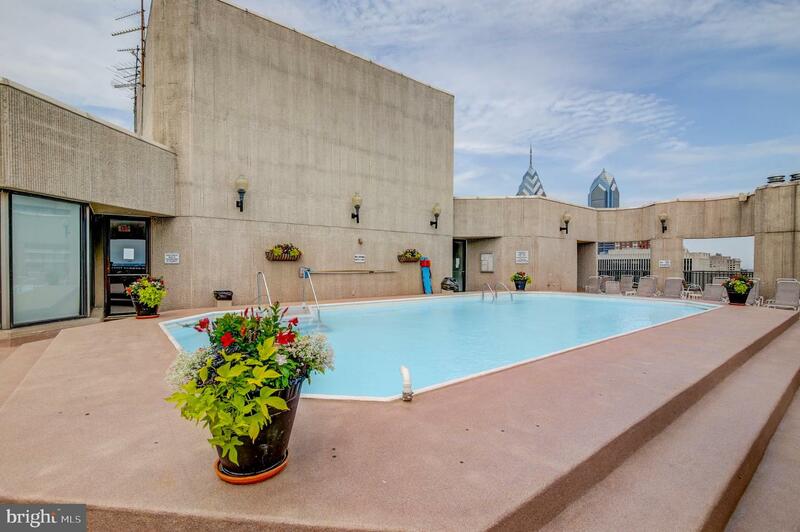 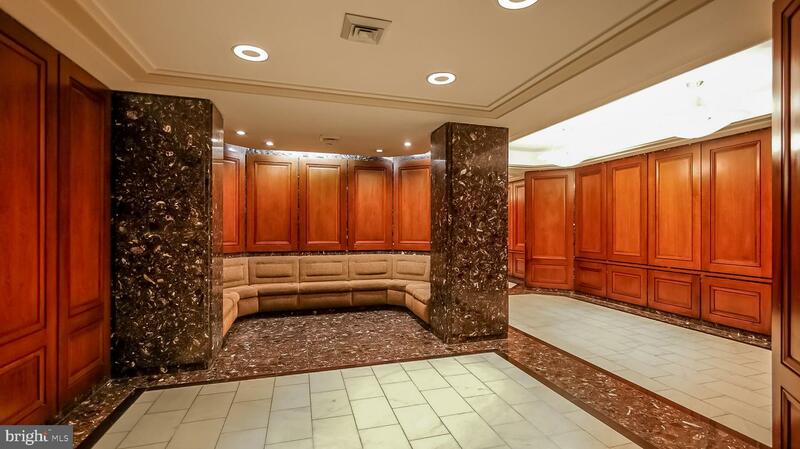 Spacious one bedroom, one bath apartment on a high floor of the Wanamaker House, located just off of Rittenhouse Square! 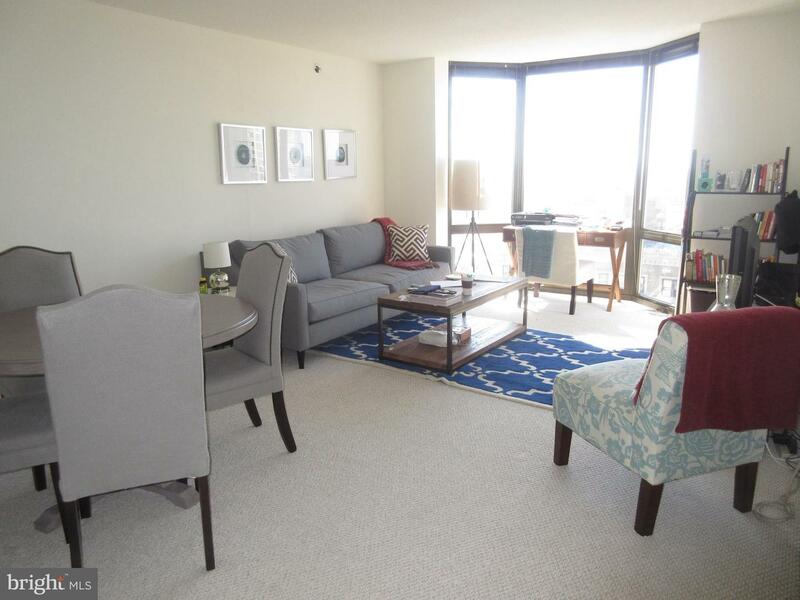 The home features a large living/dining area that showcases city views through bay floor-to-ceiling windows. 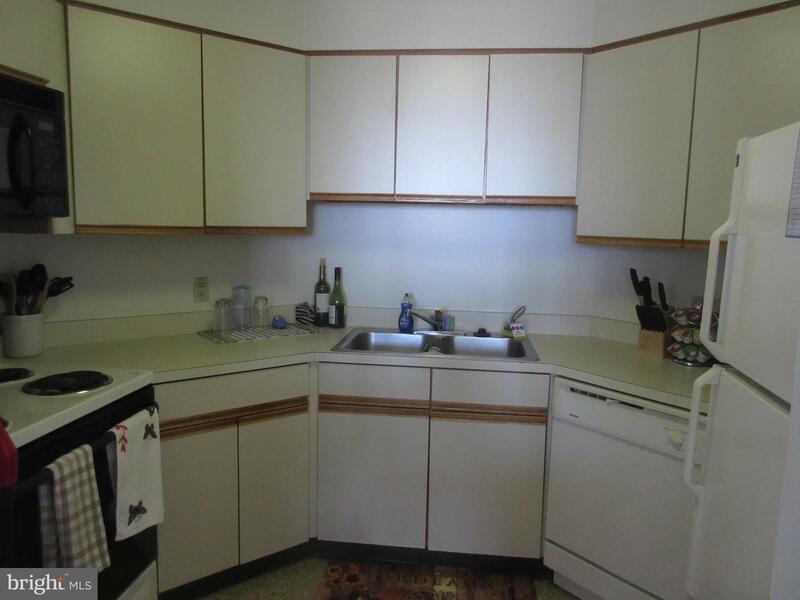 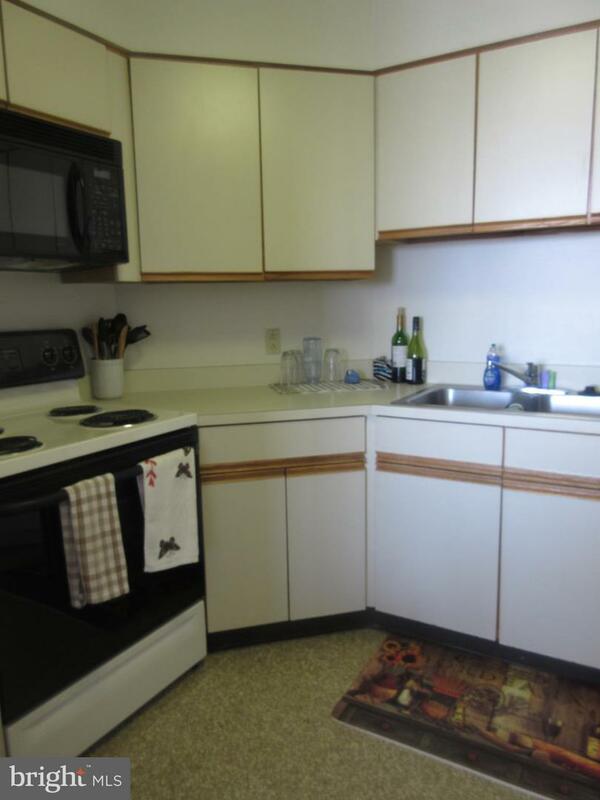 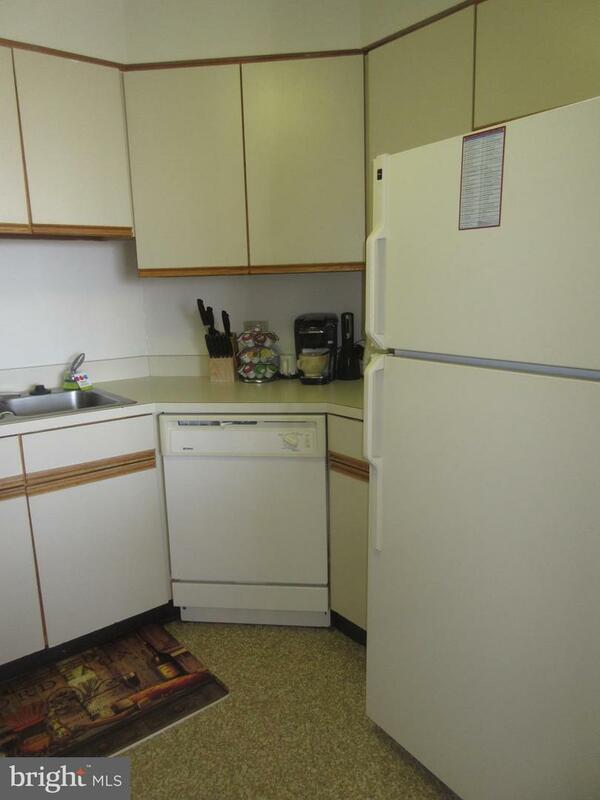 Adjacent to the living area, is a kitchen with original wood cabinetry and white/black kitchen appliances, including: an oven/range, microwave, dishwasher, and refrigerator. 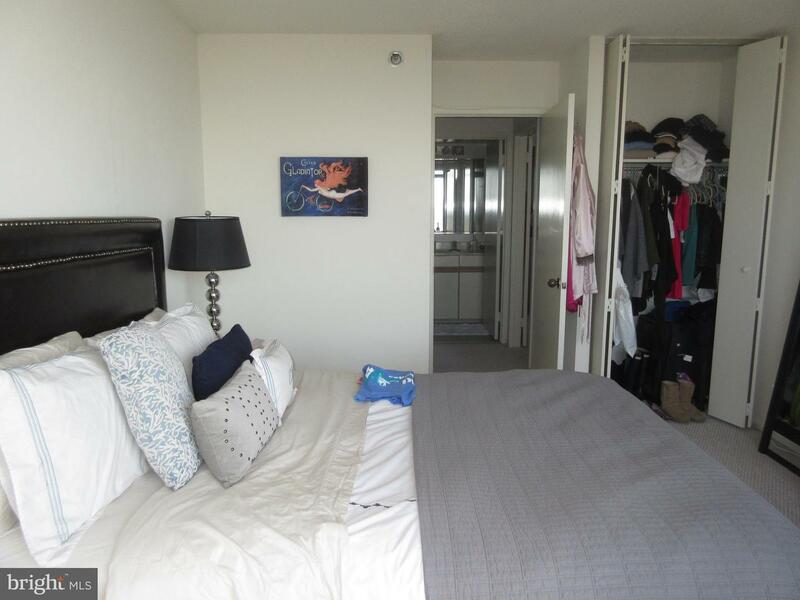 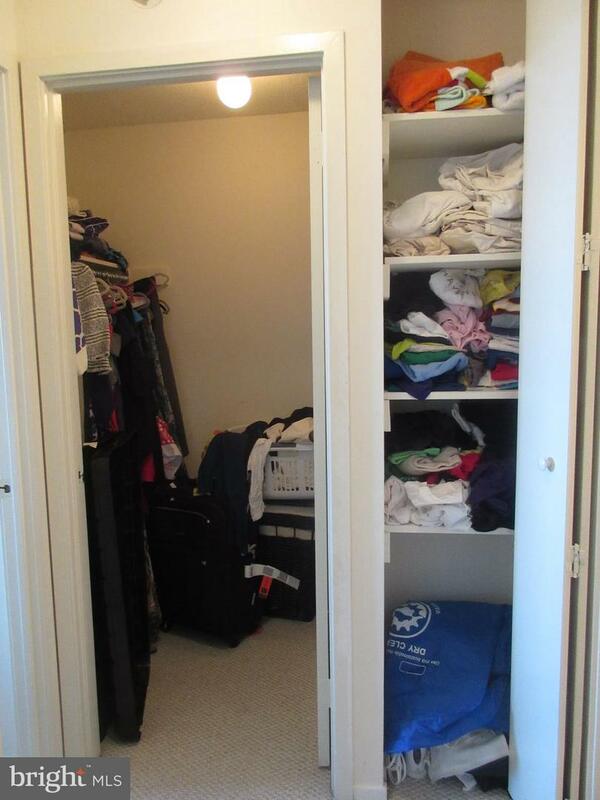 The bedroom features more floor-to-ceiling windows, a wall closet, and enjoys additional walk-in closet space nearby in the hall. 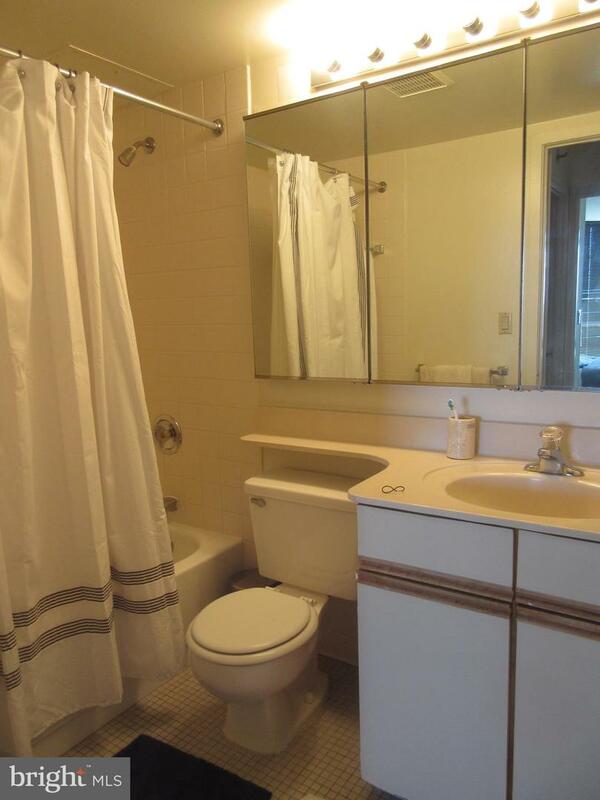 The bathroom has a single vanity with white countertop and a shower/tub combination. 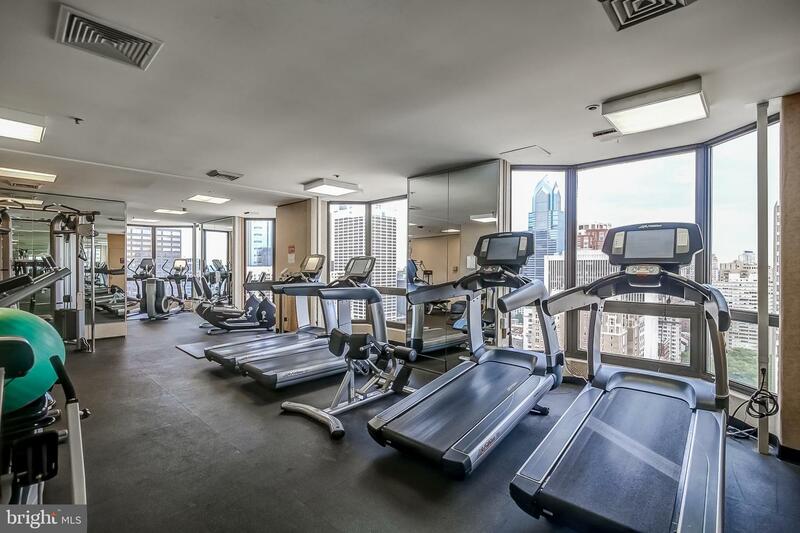 Residents of the Wanamaker House enjoy a 24-hour doorman, access to a rooftop swimming pool, fitness room, sauna, and on-site garage parking available for an additional fee.